“A. G. Bell, speaking telephone, no. 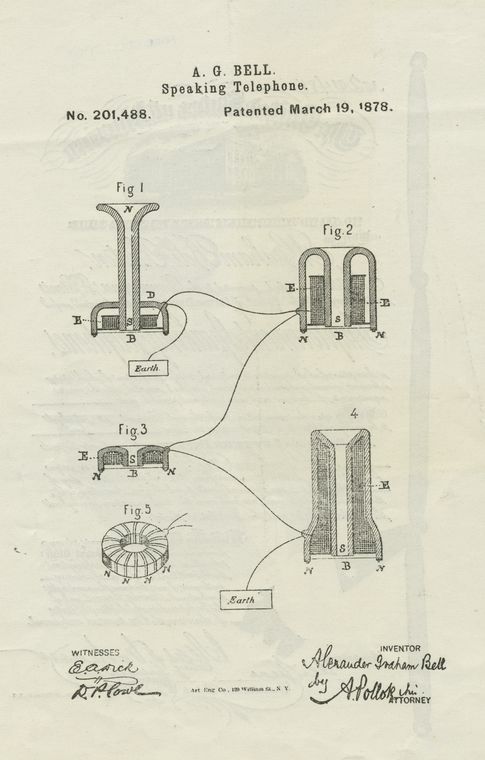 201,488, patented March 19, 1878,” Digital Public Library of America, http://dp.la/item/1a9a26ad10250dd46b1ac84d66670ec9.